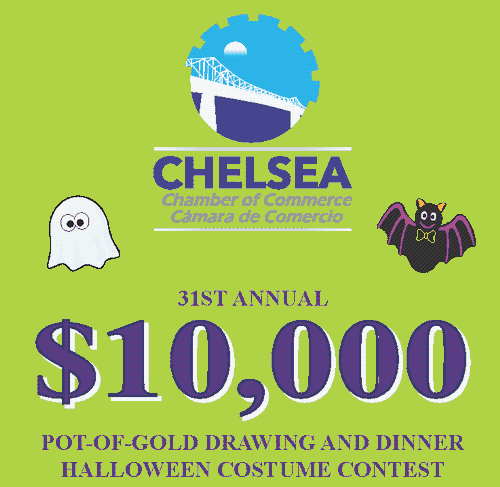 Chelsea Chamber of Commerce 31st Annual $10,000 Pot of Gold. Tickets are $175 which includes a chance at the $10,000 prize, full course dinner and open bar. There will be lots of other great raffle prizes available including our Megaraffle baskets, 50/50 raffle, Instant Wine Cellar and more! Halloween will be the theme dress to get your Halloween on!